An intro to British cozy mysteries. “Poems for when life is just hard“. “Harry Potter and the battle for gun control“. “A note about Russian propaganda on Tumblr“. Surprise – another human organ has been discovered. “Your half-assed attempts at exercise are still really good for you“. 10-minute cleaning checklist (for unexpected company). NASA astronauts answer questions about space. “Why we finally feel betrayed by Facebook“. 25 dinner recipes featuring eggs. Review of four cat craft books. Listen to the water on the rocky shore of Lake Superior. Minneapolis on St Patrick’s Day. Spoken word by Shane Koyczan: “How to be a Person” and “Instructions for a Bad Day“. Star Wars: The Last Jedi gag reel. Bongo and baby! Baby penguin! 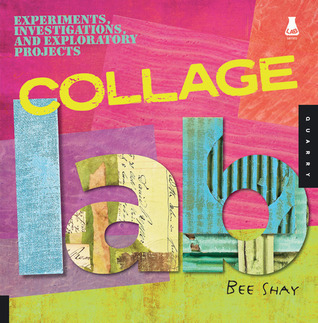 Collage Lab: 52 Experiments, Investigations, and Exploratory Projects by Bee Shay. Pretty much what it says on the tin! I liked the examples of the various experiments – I’ll definitely refer back to this one when I want to do a photo transfer using gel medium, for example. What I didn’t like was the tacit art knowledge that seemed to be required throughout the book. Reread: OMG, why not put the instructions in the same place for every lab?! 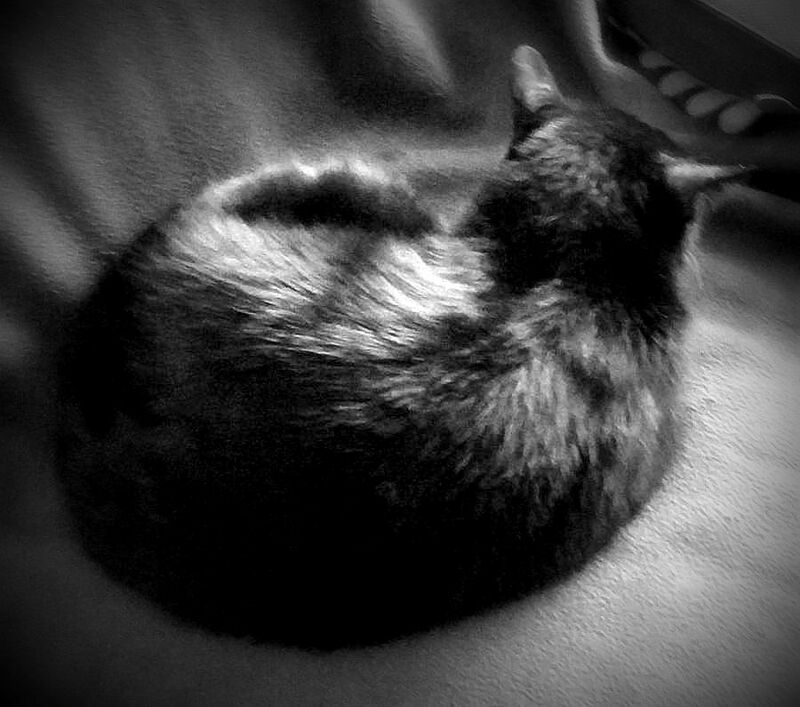 I call this one “Drowsing Chaotic Cat with Ears of Annoyance”. Posted by Chris on Friday, March 30th, 2018, at 2:00 am, and filed under Linkity linkity link, Reading, Reviewettes. I saw that Harry Potter and the Battle for Gun Control link… very powerful. (Just don’t read the idiocy in the comments.) And that new organ is fascinating. I’m not sure what I think of that yet. Hmm. My BuJo has helped me stay on top of my to-do list (usually) but I’m curious about the not-to-do list, too. I’ll have to look for more examples of how people have incorporated that. Yay poetry! I plan to read a bunch next month for National Poetry Month. So, does Rivers of London count as elfpunk? (Still laughing over that.) Plus I may need to add Buy Sumerian Trinkets to my to-do list, never to be added to my not-to-do-list! Chris- Nope, couldn’t live in a Witches House, but it would be cool to visit. I sent the link to the How to be a Human video to Younger Son. He is an artist in a computer’s skin. A recent post from kmkat..Argyle links.